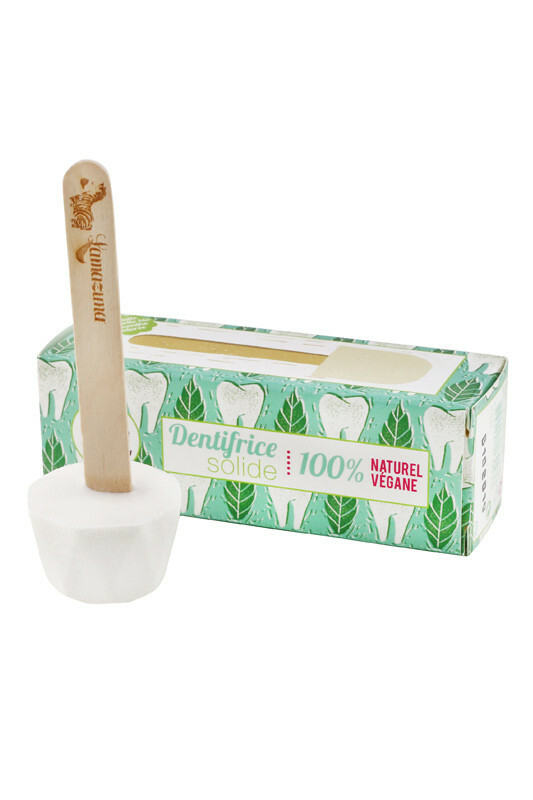 This funny Vegan Toothpaste Solid Lamazuna to the original form of a lollipop, gently cleans your teeth for a perfect oral hygiene! No chemicals are present such as fluorine, is a recipe Made in France 100% natural & vegan. The clay and calcium carbonate have purifying and cleansing properties to guarantee smooth and clean teeth. The whole family can use it, it is antibacterial and can not be dirty. 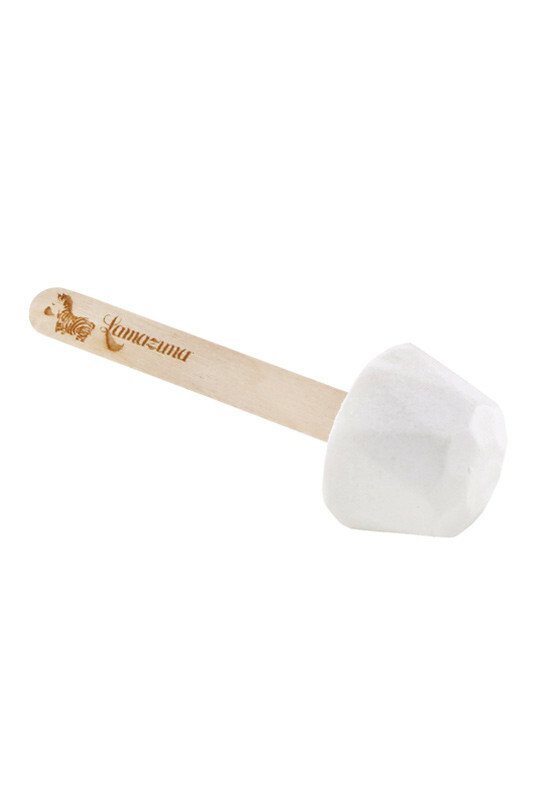 Stick with the toothpaste of Solid Lamazuna, find your teeth whiteness and brightness with a peppermint cool feeling! 20 g - Zero waste compostable wooden stick and box ! Adopter par toute la famille, petits et grands. Facile d'utilisation et efficace. Playfully brushing teeth with toothpaste Solid at Peppermint LAMAZUNA! Wet your toothbrush, then rub it against the solid vegan toothpaste Lamazuna. Just very little material to brush and lather your dents. Do as you are used with your regular toothpaste, brush your teeth and rinse your mouth. After use, leave your stick in the open air in your glass or a small cup to protect from moisture and sunlight. Over time, the toothpaste separates. 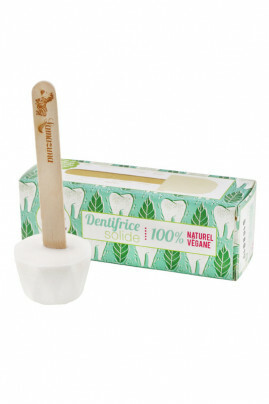 Simply place it in the storage pot Lamazuna glass and dip your toothbrush to retrieve the material. Once the toothpaste, take the stick compost to reduce waste! The solid toothpaste contains essential oils of peppermint, it is not recommended for pregnant and lactating women and children under 3 years. If you take homeopathy, wait 30 minutes after brushing before taking your treatment. 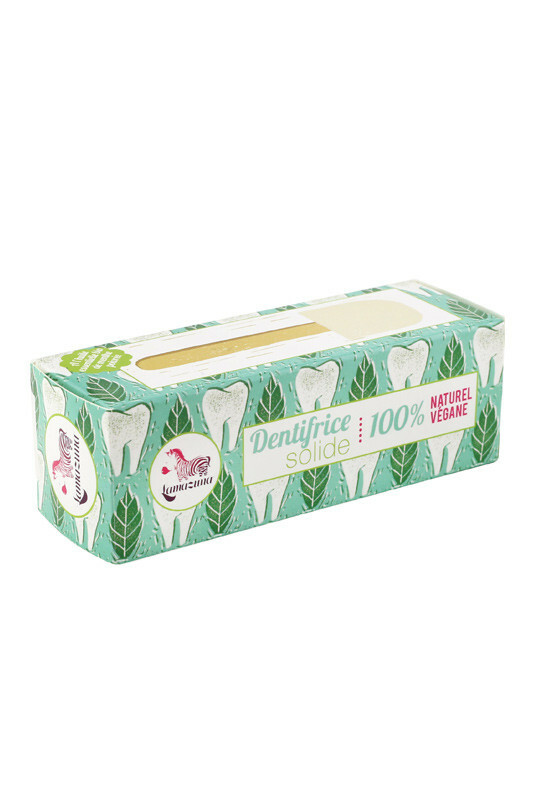 100% natural ingredients for vegans & white teeth with toothpaste Solid LAMAZUNA! Calcium carbonate: Calcium carbonate cleans and increases the gloss of teeth. This is the first component of our toothpaste, meaning it has the biggest proportion in the formula.